Love PayDay candy bars? Try making these delicious PayDay truffles at home! 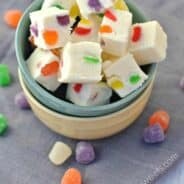 Bite sized, copycat candy…doesn’t get better than this! I seriously love making candy. Fudge, truffles, mints…I love it. 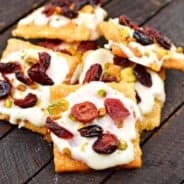 My waistline might not love it so much, but there is so much joy in re-creating a favorite recipe. One of my favorite candy bars is a PayDay. Full of peanuts and chewy caramel/peanut butter filling. I love the sweet and salty combo in these candy bars! After a quick search online, there are hundreds of PayDay candy bar recipes. They are almost all identical. I have no idea who originated this delicious treat, but thank you. It truly is like eating the real thing. But today, I wanted something different. I like different. I like to change things up sometimes. And I LOVE truffles. 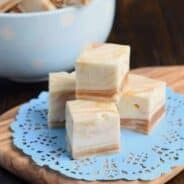 It only made sense to take these copycat homemade PayDay candy bars and turn them into something bite sized. Right? So….if you want to give these a try, head on over to Food Fanatic today for the recipe. You can PRINT the recipe too! ENJOY! Oh I love Payday bars! These look perfect Aimee! Thanks Chandra, I love em too! You have the best photos! I love truffles – traditional flavors in mini balls! 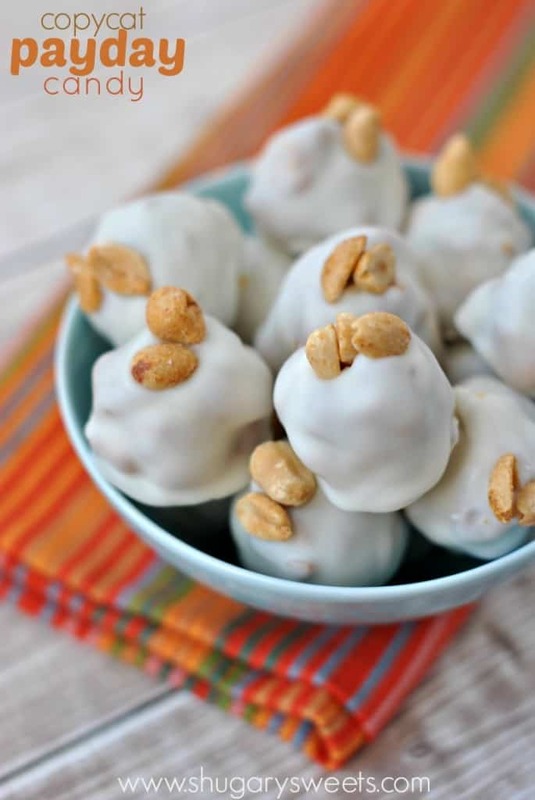 Peanuts and caramel are so good together – Payday all the way! These payday truffles are absolutely amazing! I seriously want these! I happen to love Paydays! Gotta have these. What a great idea for a truffle…. These look so delicious! Oh boy, these look like trouble! I would eat these up so so fast haha they look so good! I don’t think I could ever look at a Payday the same way again. What a wonderful idea for truffles. Just curious what you recommend for the dulce de leche. These look amaze-balls! I use La Lechera, but I know you can make your own using sweetened condensed milk too. The La Lechera is already thickened and perfect for these truffles (you can find it either in the ethnic aisle and/or next to the sweetened condensed milk). Trust me…you have nothin’ to worry about in the waistline department, haha ;). These look amazing – pinned and sharing!!! These look incredible Aimee! I love that you made truffles out of the payday candy bar flavors. 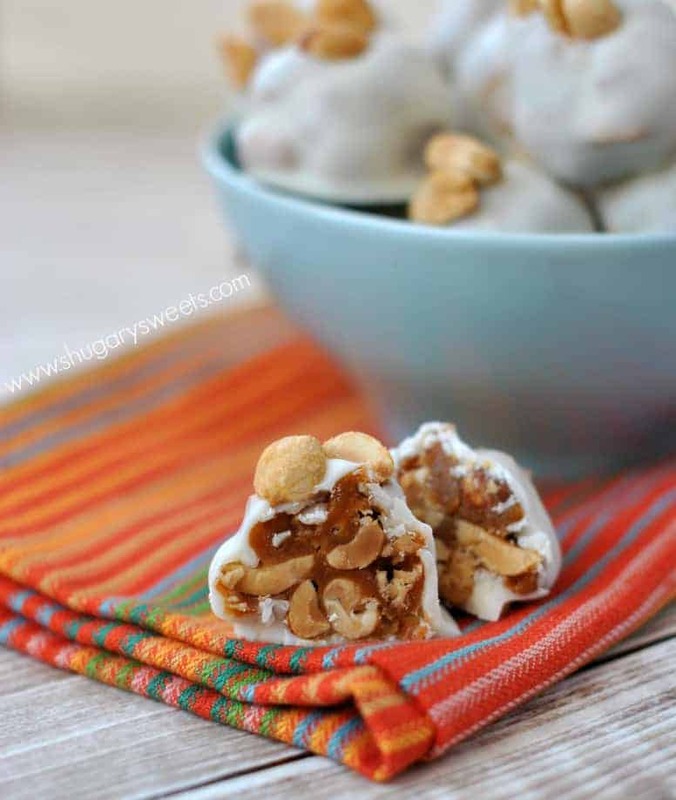 Peanut butter and dulce de luce are so good together and can’t wait to give these babies a try – pinning! Ohmygosh these are wonderful….went to bowling yesterday and one of the gals on the league gave some of us a christmas box of these payday truffles. I couldn’t wait, i had to try one…..WONDERFUL………What a nice Christmas gift for mailman, neighbors, friends, etc. These without a doubt are the best. Thanks a million for the recipe and thank you my friend for the wonderful treat.